What if China bans bitcoin mining? To the moon or not? Home Cryptocurrency News Altcoin News: Litecoin, Monero, Ripple News Bitcoin Cash, The Fake Bitcoin: what to expect from the upcoming hardfork? Bitcoin Cash, The Fake Bitcoin: what to expect from the upcoming hardfork? This article is about Bitcoin Cash, the fake Bitcoin and huge-scale scam that doesn’t even have the certain ticker – is it BCC or BCH? I’ll call it BCH as it seems to be more common. For the first time in November, the BCH price went up. I cannot say that it was unexpected – rather the opposite, quite predictable, given the events since the end of August. How does the situation develop for the market in the future and what are the options of the situation? With the beginning of a big cooling of the market in January 2018, the interests of the three accomplices who created their own “pocket bitcoin” on August 1, 2017, diverged. 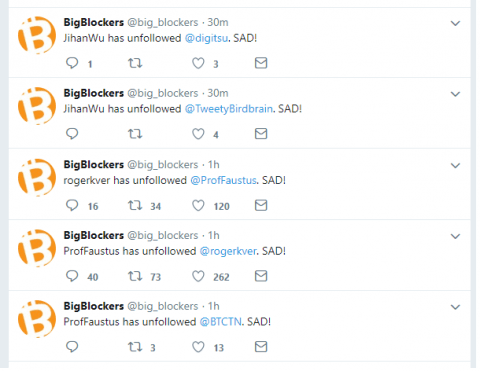 Yes, it’s about Roger Ver, Jihan Wu, and Craig “I-Am-Satoshi” Wright. Exactly on the anniversary of this event, Wright blocked Vera on Twitter. This happened immediately after the meeting of the BCH developers and miners in Bangkok and served as a signal for further developments. Each of these characters is worthy of a separate chamber, although the roots of their illness are one – everyone wants more money, and so that they do not have to agree with a crowd of developers and other enthusiasts. It’s easier to create Your Own Personal Bitcoin and decide everything for three. However, in the end, the guys could not agree even the three of them. Accumulated disagreements finally broke out, and for several months now the community has been discussing what is happening. In the right corner of the ring – Jihan Wu and the team Bitcoin ABC (and Bitmain). In the left – Craig Wright, the company nChain and Calvin Air, the owner of the largest BCH-pool CoinGeek. The Bitcoin Unlimited team is trying to act as a referee. Let’s restore the chronology of events. On August 20, a new release of Bitcoin ABC is released, proposing a change in consensus on the BCH network and the function of smart contracts with support for atomic swaps (it is worth noting that this is the first effective change in BCH over the entire period of its existence). On August 21, Jihan calls Wright a “fake Satoshi” (faketoshi) in a private BCH chat room: Wright objected to the changes made to the BCH client. 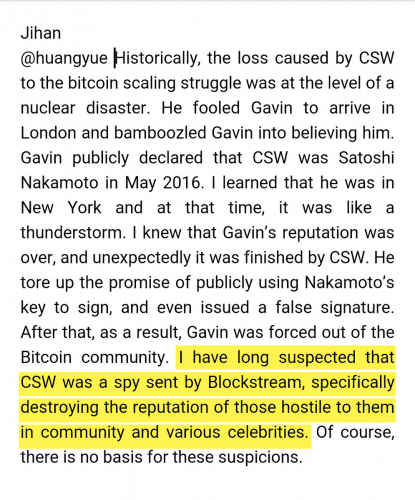 On August 30, Cihan Wu calls Wright again, this time a Blockstream spy who destroys the reputation of developers who disagree with him (as happened with Gavin Andresen). All these sayings went public, and Wright did not remain in debt – to start with, he accused Jihan of Bitcoin Cash split: a new release Bitcoin ABC shortly before this contained updates that Wright and Ayre did not agree with. Although earlier, in May, when these changes were only announced, neither Wright nor Air expressed any objections. Then Wright blamed Wu for bribing Bitcoin ABC developers paid in Monero. Meanwhile, Calvin Ayre offered Cihan to buy out the BCH owned by him through OTC platforms or to invest in Bitmain’s bending IPO in exchange for customer support for Bitcoin SV. October 18, nChain releases its client version for the VSN network – Bitcoin SV, which assumes an increase in the block from 32 to 128 MB and, during installation, changes Bitcoin ABC client scripts on its own. The project is created at the request of the CoinGeek pool and follows the “original vision of Satoshi”, also assuming the participation of miners in the voting. The most important thing is that Bitcoin ABC and SV clients are incompatible with each other, which means that the BCH risks splitting into two chains on November 15 – next hardfork VSN is scheduled for this date, and the miners will have to choose which version of the client they support. So far, the advantage remains on the side of Wright and nChain, since CoinGeek supports them – the largest VSN-pool, but the share of pools supporting ABC is slightly smaller in aggregate (the aspect ratio constantly fluctuates). Trying to avoid division, the developers of the Bitcoin Unlimited team created their client BCH, combining changes in both versions of clients. But the farther, the more obvious that the opposing sides are determined not to agree, but to take the bull by the horns, each from its own side. The people, seeing the opportunity to once again receive “money for nothing”, joyfully joined the growing course. Indeed, for the time being, everything goes to the fact that on November 15 there will be not just an update of all the BCH nodes, but also their separation into at least two competing chains. In this case, all BCH holders will receive a bonus in the form of coins of the second chain, which can then be sold. It will be useful for ordinary BCH holders to withdraw funds to addresses whose private keys they own, or to keep them on exchanges that support both BCH branches (this was stated, for example, Poloniex – already added to the BCHABC and BCHSV trading). Coinbase, OKEx and Binance only support Bitcoin ABC so far. Question: when to sell? Judging by the situation with the division of the BTC network and the BCH, it would make sense to sell part of the coins received on the hardforks (40-50%) immediately, in the region of half the price of the “original” coin. The second part, it makes sense to hold in case the price of a competing branch increases significantly. Of course, this may not happen – at the moment it is difficult to predict which of the branches will become leading in the future. The situation itself is provoked by the characters involved in it. On the one hand, Craig Wright is a brawler who regularly conflicts with other developers and members of the community. On the other – Roger Ver and Cihan Wu, who last year took advantage of the noise around SegWit and created their own, “true Bitcoin” – BCH. This time, Wright fell out with two accomplices. For what purpose? Yes, everything is the same: to get some more fame and money that will not interfere with the “poor” Australian professor, posing as Satoshi Nakamoto. Wright saw the guys in the internal kitchen and an easy way to cut the dough out of the blue – create a “personal Bitcoin” for themselves and steer the project further on their own. And all the loud statements about Satoshi’s “original vision” and assaults on neighbours in the ward are just marketing, because how else can the crowd be interested? I must say, Wright was well prepared: to attract Ayre with his pool to his side was an excellent step, because, without such a trump card, the Bitcoin SV project would not have shone at all. The average daily transaction volume of the BCH is significantly inferior even to Dogecoin, not to mention the BTC or ETH. Because of the small volume of transactions, the blocks of the “true Bitcoin” often reach the size of as much as 5 Kb (it is asked why it was necessary to introduce support for 32 and, moreover, 128 MB?). The BCH network is extremely centralized, but there is nothing to be surprised at, since it was originally intended – otherwise how to steer the process? 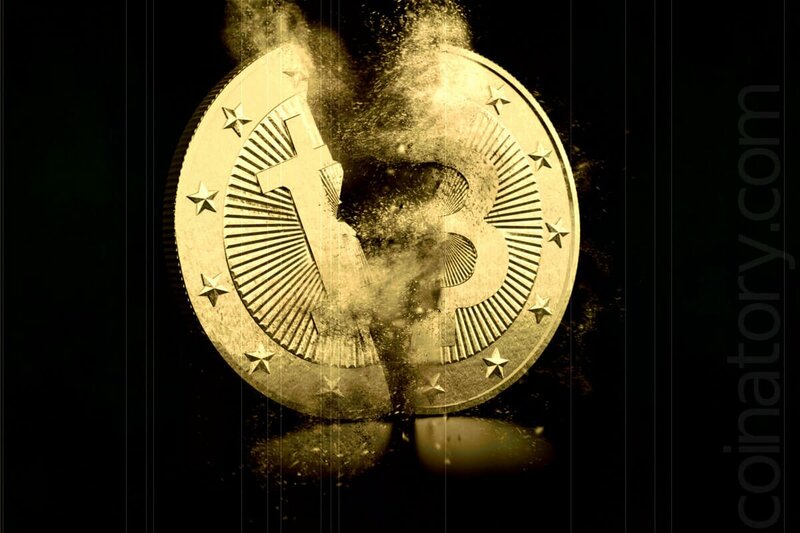 BCH was repeatedly declared “more real Bitcoin”, and then BSV with its statements about Satoshi’s “original vision” – there is a tendency: to divide and declare its coin “more correct” than the competitors’ coin. It is immediately clear who is learning from whom. Most of all, BCH is needed by its creators in order to play status games and make money on gullible simple-minded people who believe in “true Bitcoin”. Although, of course, everyone likes to receive free coins when dividing the network. This is the real reason for the growth of Bitcoin Cash in November, and everyone decides whether or not to participate in the race. Coinatory is the cryptocurrency, blockchain and mining news portal. Our vision is to provide our readers with the most important and interesting news of the crypto world and news about new coins that are constantly appearing. We provide market cryptocurrency price analysis, technical details of the upcoming and recent changes and events in crypto related sphere. This site uses functional cookies and external scripts to improve your experience. Which major cookies and scripts are used and how they impact your visit is specified on the left. Our website stores cookies. uses cache, web storage and external scripts for the best performance and setting saving. We also store third-party cookies that are used for the best performance of our cryptocurrency news website, advertisement targeting and etc. The main cookies are listed in that window. All of them are needed to make our website exist. The full list of cookies that might be used by our system is listed in Terms and Conditions. By the way, you can easily delete the cookies or the whole web surf history in your browser setting. Disqus is the part of commenting system on our website. Facebook helps us to improve Facebook targeting and provide you with the best and actual news. Google AdSense & DoubleClick Cookie helps us to make the website possible. Google Analytics helps us to improve the website performance. OneSignal gives us possibility to send you notifications when the latest news are published. Pinterest helps us to improve Pinterest targeting and provide you with the best and actual news. Reddit helps us to improve Reddit targeting and provide you with the best and actual news. Twitter helps us to improve Twitter targeting and provide you with the best and actual news.